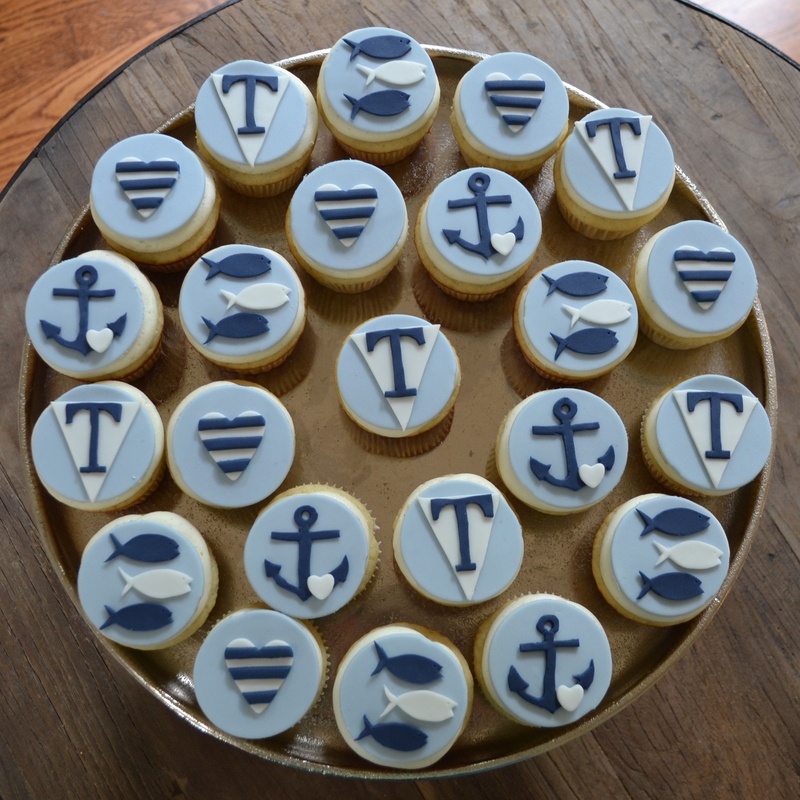 My client for these cupcakes was throwing a nautical themed bridal shower. I used varying shades of blue and white and common nautical items for decorations. In particular, I did the three fish to symbolize the blending of the two families and that there were “three less fish in the sea” which was on of my clients main themes. I also used the letter “T” on the sailing flag which was the initial of both the bride and groom’s last name.